When someone visits your home or business, one of the first things that they notice is your driveway. A shoddy looking entrance can ruin the façade of the most elegant home. Cracks, weeds, and broken pieces of the driveway simply scream neglect. Fortunately, experts at Decorative Concrete WA can easily bring new life to your tired driveway in many beautiful and affordable ways. Concrete drives hold up better over time and also will not sink into your yard. They prevent grasses, weeds, and insects from taking over your drive as well. Some of our most popular materials for driveways and walk ways include honed concrete, liquid limestone, exposed aggregate, and plain concrete. While all of these materials are durable and low maintenance, each has its individual properties that set it apart from the others. Using traditional concrete will not relegate your drive to boring. 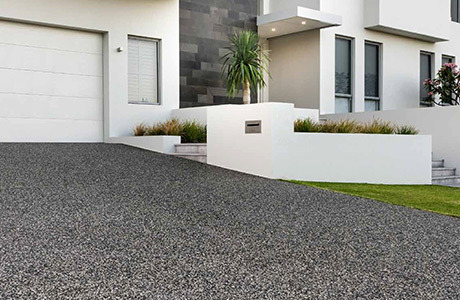 On the contrary, an expertly crafted traditional driveway adds a bold and modern look to your home. Additionally, it has a clean crisp look and is durable. 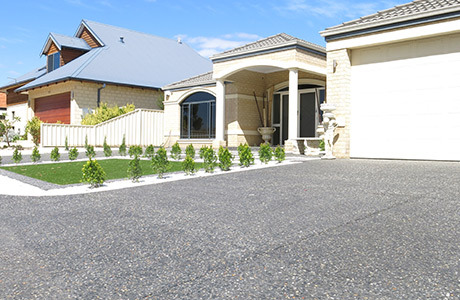 Because of the price and durability of all of these kinds of concrete, it ‘s hard to imagine why anyone would consider any other material for their driveway.